SAVE WHILE YOU TRAVEL WITH MY CLUB RAILWAY! When clubs and travellers choo-choo-choose to book train tickets with us, everyone benefits! You’ll get the best fares available with our National Rail accredited booking engine. Not only this, but your club will reap the benefits too, as with all of our services. The cheapest and best fares you will find! Purchase your tickets on the day, or, use our service and save up to 80%**, when you book ahead with us and let your club reap the benefits? Easy choice. Can't book train tickets in advance? No cheap rail fares on your route? Need a more flexible route? Welcome to split ticketing! 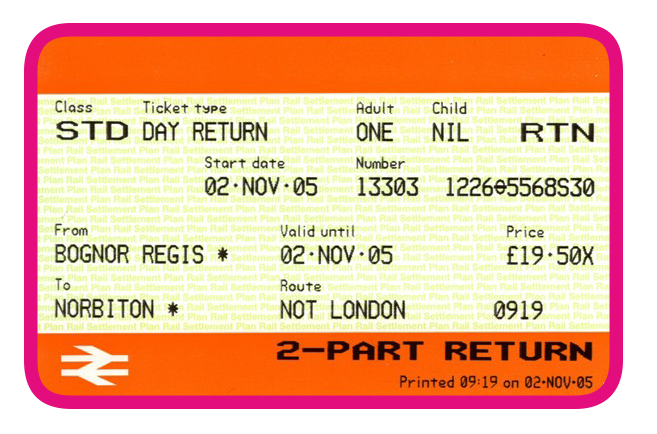 Splitting your train ticket or breaking the journey down into two or more smaller portions with a separate train ticket for each section could be the key to finding a cheaper train fare. In many cases you won't even need to leave the train. 2. Then Watford Junction to Milton Keynes Central. SAME ROUTE = DIFFERENT PRICE! *Clubs will receive 20% of our commission on both the booking value and on any split ticketing, as well as, 50% of all booking fees.